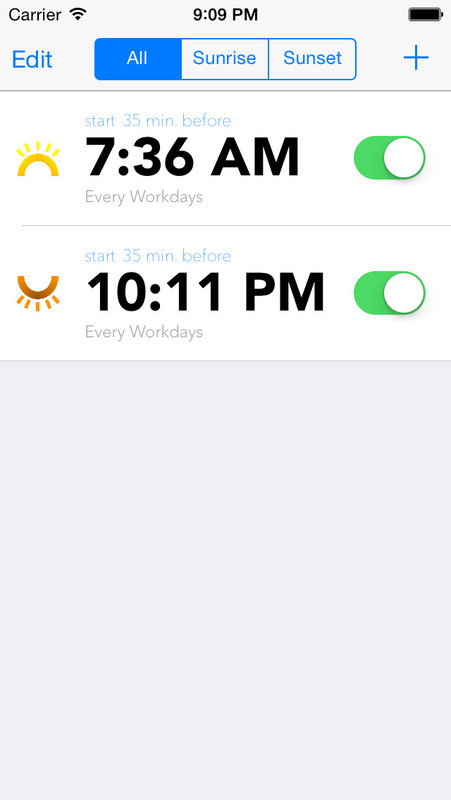 App Developed by INVANTAGE INC. 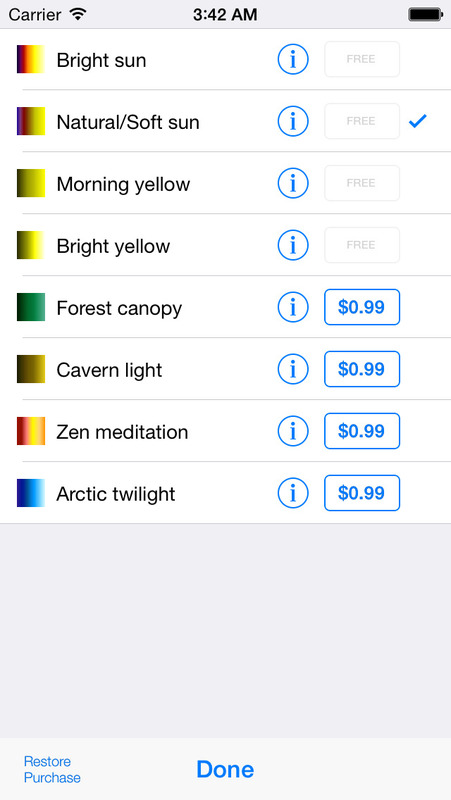 This app will transform your Philips Hue lights into your own personal Sun. 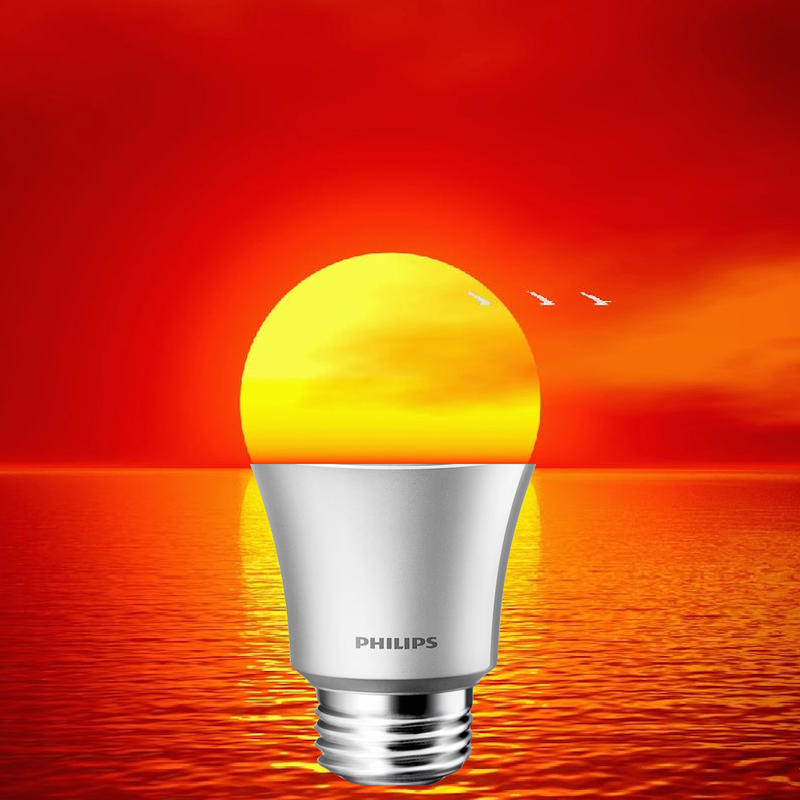 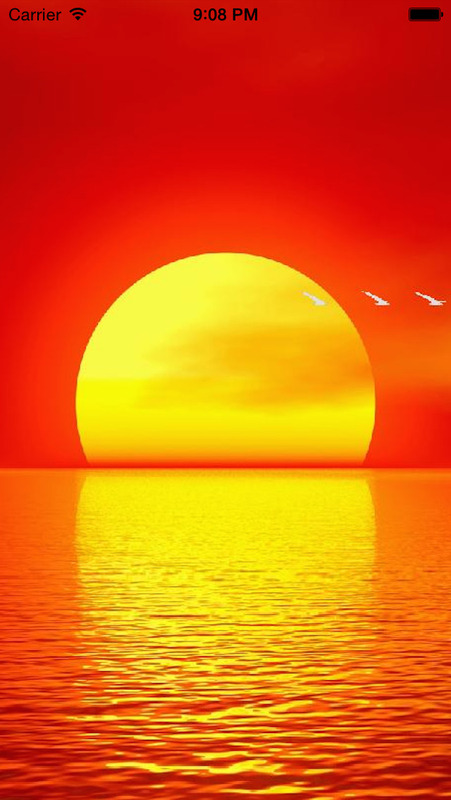 Reproducing the sunrise and sunset brightness and color pattern, it will make your morning waking hours more natural. 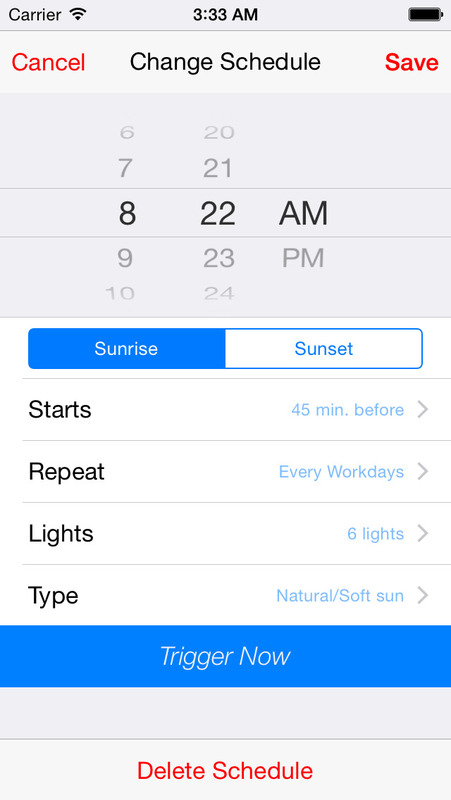 Choose time, frequency, whether you want to wake up (sunrise) or go to sleep (sunset), the lights you want to use and how long you want it to last : the application will do the rest and will program your bridge to trigger the sunrise or the sunset at the right time.